I am so excited on how my first paper piecing project turned out. On Wednesday, I shared with you the little kiwi I was embarking on. Here is the finished paper piecing block – I’ve framed it ready to be the front of a 18 inch cushion cover…. One of my March goals done – try a new technique, paper piecing. A big thank you to Juliet @ tartankiwi for the design and pattern, I had a lot of fun with it. I will definitely do more paper piecing. Linking up with Amanda @ Crazy Mom Quilts for finish it up Friday. 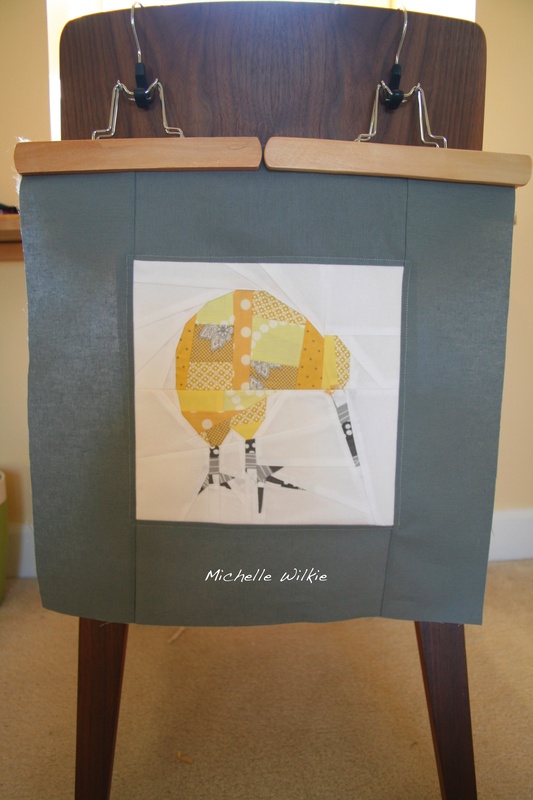 This entry was posted in Uncategorized and tagged block, cushion, cushion cover, design, kiwi, paper piecing, patchwork, quilt, quilting, quilts, tartankiwi on March 15, 2013 by mlwilkie. That’s just ridiculously adorable! Love the patchwork. This is fantastic, so cute! Very cute! And great job, that is impressive for a first. I have only done one paper pieced block, but it was a much easier design. So impressed that this is your first paper pieced block! I reckon that this is the hardest pattern that I’ve designed and you nailed it!!! Can’t wait to see what you get up to next. 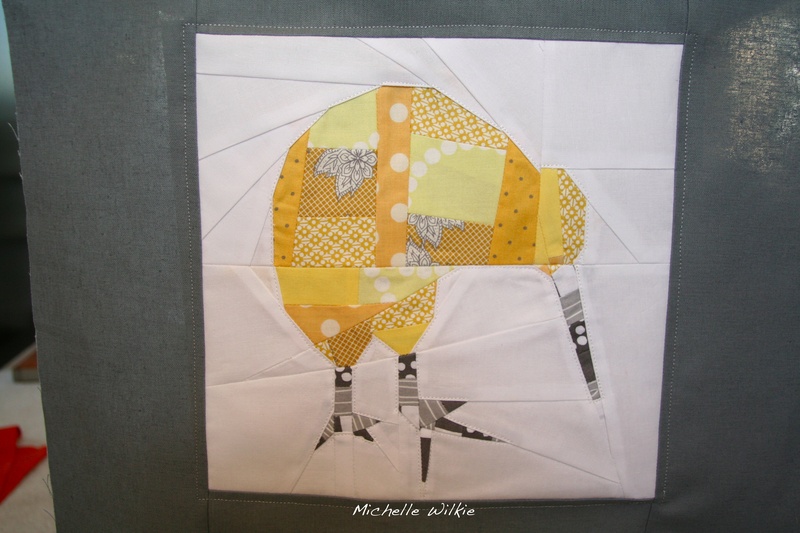 Love your Kiwi paper piecing. So cute and I love the colours of it! Wow! You rocked paper piecing… this little guy is so sweet.